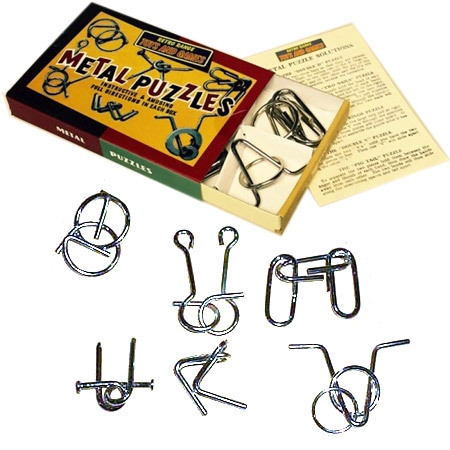 Metal Puzzles Retro Set 6 are a lovely set of metal puzzles in various shapes which you have to twist and turn to get them apart. These are a great puzzle toy to play with and are a real challenge to work out. Just remember once you get them apart you have to put them back together. This set comes beautifully packaged in a retro slide out cardboard box. A very nostalgic toy. We like this because: "A real challenge and very nostalgic packaging ."